The fuel you put into your body not only provides physical energy but can provide mental energy as well. When you eat something, the nutrients enter your bloodstream and ultimately make their way to your brain. Of course there are some foods that are better than others when it comes to sustained energy. And the more energy you have, the more you can get done in a day. Read on for seven that are particularly good at boosting productivity. Just be sure to consult with your Grocery Guide for portion help! There’s a reason why almonds—as well as other nuts and seeds—have long been regarded as “brain food.” Nuts and seeds are packed with vitamin E, which has been linked to a reduced risk of cognitive impairment. Add a half ounce a day to your daily snack or meal routine to get the brain benefits and still stay on the weight loss track. There are many ways to eat nuts and seeds. Almonds or sunflower seeds can easily be tossed into a salad. Some even prefer to eat a handful of plain nuts for a midday snack. Raw or roasted doesn’t impact the vitamin power so opt for what you like best. Just be sure to opt for nuts that skip the added salt. Carbohydrates in general are responsible for more than half of the energy that keeps us going. Of course whole grains, which also offer vitamins and minerals, are the best kind of carbs. A study published in the Journal of Nutrition and Metabolism found that eating whole grains can prevent a surge in blood sugar—meaning fewer energy crashes throughout the day. Add whole grain toast to your breakfast or lunch for long-term sustained energy. Bananas have long been a favorite source of energy among endurance athletes. Some of the world’s best competitors have been spotted on the sidelines eating a banana. And there’s a good reason why! 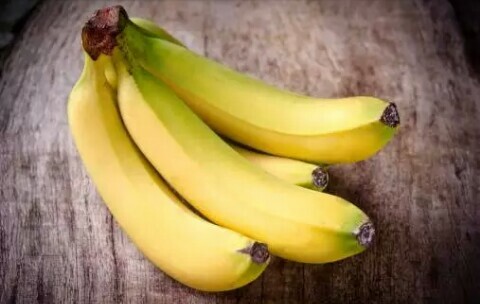 A study from the Appalachian State University Human Performance Lab found that eating half a banana every 15 minutes during a cycling time trial test aided performance as much as drinking a sports energy drink at the same intervals. For those not engaging in heavy duty daily cycling, one banana should suffice. If you’re looking for an easy and portable snack that packs a ton of energy, opt for raisins. The nutrients are more concentrated than fresh grapes so you can get more energy with less intake. It’s the perfect snack for a busy work day or a weekend cycle. Just be careful as raisins also contain a lot more sugar and calories when compared ounce for ounce with fresh grapes. A handful is all it takes to get a nutritional boost. Eggs for energy? That’s what research published in Nutrition Today indicates. Researchers found the high-quality protein in eggs provided sustained energy and promoted satiety. In other words, eggs as part of breakfast will keep you productive and full all morning long. You’ve undoubtedly already heard blueberries referred to as superfoods. These berries may be small but they pack a powerful punch. Blueberries are loaded with cancer-fighting antioxidants, vitamin C and iron. But blueberries are also brain food. A study by Harvard researchers at Brigham and Women’s Hospital found that a high-intake of flavonoid-rich berries, like blueberries, can delay memory decline in women. Yogurt may get the most credit for its calcium, but it also offers some serious protein power (as much as six to nine grams per serving—Greek yogurt has even more). Fitness experts call it the perfect post-workout snack as it not only helps jumpstart muscle repair but replenishes energy. Yogurt in the morning is also a great way to power up for a productive day.